Men don’t want to lose their testosterone because they understand how essential it is to their sense of personal identity. Some are willing to try almost anything to prevent its loss, including thee use of unproven non-prescription products; so why do you need a prescription for testosterone cypionate injections if there are other products available to you that promise to do the same thing? It is because those non-prescription products, whether they are described as all natural, homeopathic, or anything else have never been shown to deliver on their marketing claims. However, the use of medically prescribed testosterone cypionate injections to replenish declining male hormone levels has been clinically substantiated to deliver measurable results. By using this controlled bio-identical and pharmaceutically manufactured substance, adult men have been safely and effectively restoring their depleted male hormone levels under medical supervision for decades. And it is because it has been classified as a controlled substance by federal drug regulators that a prescription is always required in order for anyone in the US to purchase and use it. Low T has certainly become a “hot button” issue for many American men in recent times; and don’t think for a moment that it has escaped the notice of those who see an opportunity to make a huge profit by selling useless and/or illegal products and substances on unsuspecting adult males who have developed testosterone deficiency symptoms. These useless and sometimes dangerous products are being sold over the Internet and in other places, often illegally, solely to take advantage of people who have developed a very real health problem, one that is recognized by the medical community. And the legitimate medical community has also addressed it with the availability of doctor prescribed and managed testosterone replacement therapy programs for qualified adult patients. This is the answer to why do you need a prescription for testosterone cypionate injections along with the other medically recognized and sanctioned prescription medications that are available to Low T therapy patients. And medical science has proven that these are the only forms of treatment that can successfully increase male hormone levels and eliminate your male hormone deficiency symptoms. If you have entered what is sometimes referred to as “male menopause,” which is the period of a man’s adulthood that often coincides with the period of female adulthood known as menopause, you are probably over the age of 40 and have experienced a significant loss of your body’s ability to produce testosterone naturally. The progressive loss of their healthy testosterone levels does not result in symptoms for all men; it depends on a number of individual physiological factors. But for men who have developed symptoms related to Low T, only a qualified medical doctor can advise you on when do you need a prescription for testosterone cypionate or other form of Low T treatment. The diagnostic process for testosterone replacement therapy (TRT) is straightforward enough; you will need to have your current available testosterone levels measured via a specific blood test. You will also need to have your medical history reviewed by your TRT medical provider (to ensure that this treatment is a viable for you based any of on your previous and/or current health issues), and have a medical exam performed if you have not had one recently. Your blood test results, your symptoms and your current condition of overall health will all be taken into consideration by your TRT provider in determining the extent of your deficiency, as well as in prescribing the appropriate program of treatment for you. You can try having this done by your primary care provider, but if they are not experienced in treating adult-onset hormone disorders like Low T, you may be referred to an endocrinologist or urologist for your testing and diagnosis — or you can bypass all that and directly contact a hormone replacement therapy medical provider such as Nexel Medical on your own. Because we are accessible both online and by phone to adults living in all 50 states who want to receive local Low T testing and receive a medical prescription for TRT, we accept and provide treatment for new patients on a daily basis. Your body may already be telling you what the answer is to the question of do you need a prescription for testosterone cypionate replacement therapy through the appearance of a variety of unwanted symptoms; but it has to be clinically confirmed before you can proceed. At Nexel Medical, our doctors are highly experienced specialists in testosterone replacement therapy who can correctly diagnose and prescribe treatment for your symptoms … in in doing so, help you to experienced renewed vitality, stronger health, and the return of your peak virility. 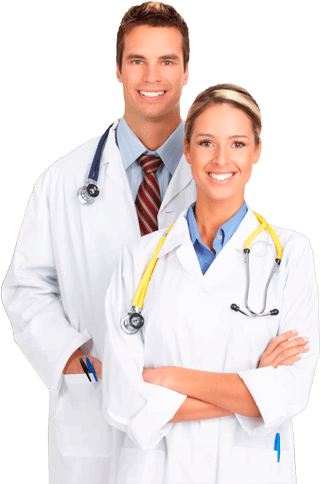 Now we will get into the precise medical science that is involved in successful testosterone replacement therapy, and it will further explain why do you need a prescription for testosterone cypionate. In treating adult men with Low T, hormone therapy doctors and other endocrine specialists want to pinpoint each patient’s personal male hormone “sweet spot,” meaning the optimal range that is neither excessively high nor disadvantageously low. Experienced TRT providers like Nexel Medical know that neither of these extremes will support improved health. In fact, any treatment program that doesn’t sufficiently increase the patient’s male hormone supply, or that increases it excessively, is going to be counterproductive and will not result in the desired outcome. So in determining the exact dosage and the duration of each patient’s treatment cycle, they take into account a variety of physiological factors such as age, weight, condition of health, and current symptomology. They also draw on their knowledge of the clinical data on TRT patients, and they use all of this medical insight to customize individual treatment programs for their patients. In addition that that, they know that every patient will respond to their treatment uniquely, meaning that adjustments in the originally prescribed dosage may be required at some point during their treatment cycles. These adjustments are made based on the patient’s rate of improvement as exhibited by their remaining symptoms and the results of further blood testing. So as you can see, there is much more to medical expertise in TRT than being able to tell any adult what the answer to do you need a prescription for testosterone cypionate injections is. Needing them and using them in a way that will produce the best results are two different things; and it often requires the professional expertise of a testosterone replacement therapy medical specialist to ensure that you obtain the results you desire from your prescribed dosage, cycle and program of treatment. For patients using intramuscular injections, testosterone cypionate injections are the most widely used and are substantially more affordable than the gel forms of treatment that have become available in recent years. Because of the restrictions and conditions that many health care insurers have placed on covering the cost of testosterone replacement therapy in general, the price of their Low T therapy is important for many patients to consider – especially since it is an ongoing form of medical treatment. The price of using doctor prescribed testosterone cypionate injections is affordable because it requires the use of fewer treatments than the gels (which require daily use) due to its long lasting pharmaceutical characteristics. So do you need a prescription for testosterone cypionate strictly because you want to save money over the other forms of treatment? Not at all; perhaps your medical insurance will cover the cost of your treatment and price will not be a factor (and you should check into that with them before you even get tested for Low T). But in an ideal treatment scenario, you and your TRT doctor should be able to focus on your best form of treatment because it will work the best for you, not because it costs less than some other form. Fortunately, one of the most affordable TRT treatment choices is also the one that has the most extensively documented record of successful results in adult male patients; and it’s testosterone cypionate. Most patients who will be paying the cost of their own treatment spend less than $100 for one month’s worth of treatment products, and most injectable testosterone treatment cycles run for approximately six months and are followed by months of not using these specific treatments. Compared to prices of many of the prescription drugs that US adults depend on, the cost of using testosterone cypionate treatments is considerably less than most of them. Do you need a prescription for testosterone cypionate injections? A Nexel Medical doctor can provide you with the correct answer to that question once you have completed our simple and locally based pre-treatment procedures. In the meantime, if you have any other questions about TRT that need answers, just give us a call at Nexel Medical and one of our clinical advisors will be glad to answer them for you.